Although it is not "groundbreaking" it is a trend that I am obsessed with and wanted to share some of my favorite ways to rock it. Shoes are the most fun for me. I bought these Marc Fisher D'orsay heels in a bronze for a wedding this weekend. They seemed simplistic but the metallic color makes them perfect for something fancy like a wedding or pair with a great pair of skinnies for a night out. I also love the metallic color for loafers or another work appropriate shoe. 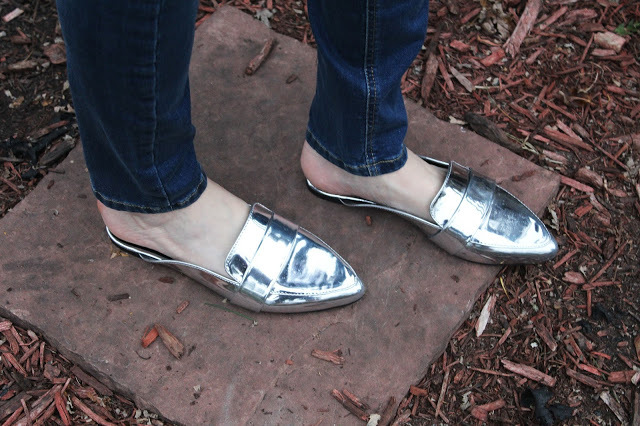 I have the metallic slip on loafers (pictured above) and got compliments every time I wore them. They just amp up what would otherwise be a simple work look. A handbag is another good way to wear the metallic in a conservative way. 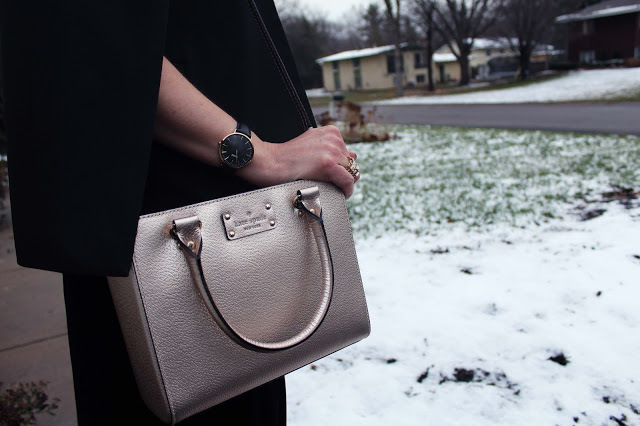 I really love my rose gold Kate Spade. The light pink hue is perfect for Winter but will also transition well into Spring. When I am done with pregnancy I am going to snag one of these metallic skirts. I have been drooling over them since the Fall but knew with a changing figure it wouldn't work. I really love the versatility of pairing with a blouse for a night out or a tee shirt for a fun afternoon. Last but not least, little jewelry. 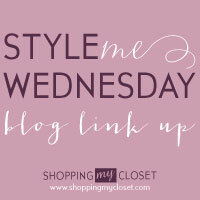 A simple metal band is a good way to add just hint of this trend if the other options are too bold for you. You can also layer a few mixed metal bands to diversify the look. How do you show off your metallics? Leave me a comment below I would love to hear from you!